Double-ended bone scoop, with one oval and one round end. This type of scoop can also be called a "Lupus scoop", used in dermatological practice. 13.2cm in length, 1.3cm in width (round scoop), 0.5cm in width (oval scoop). 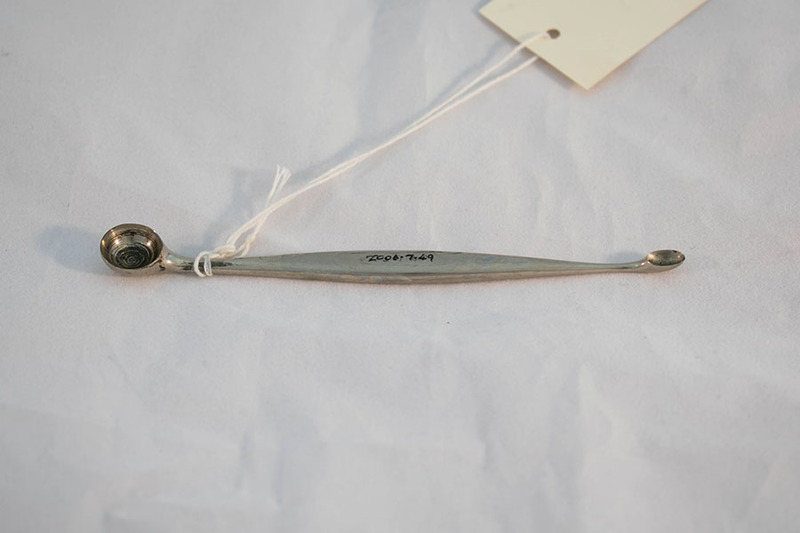 “Volckmann's Bone Scoop,” Heritage, accessed April 20, 2019, https://heritage.rcpsg.ac.uk/items/show/565. Description: Double-ended bone scoop, with one oval and one round end. 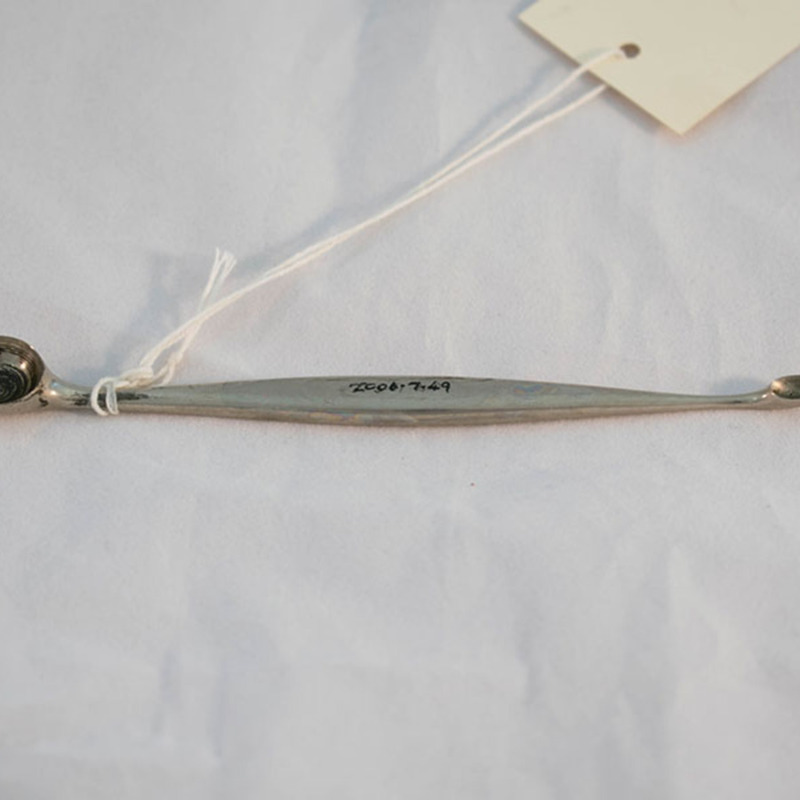 This type of scoop can also be called a "Lupus scoop", used in dermatological practice.